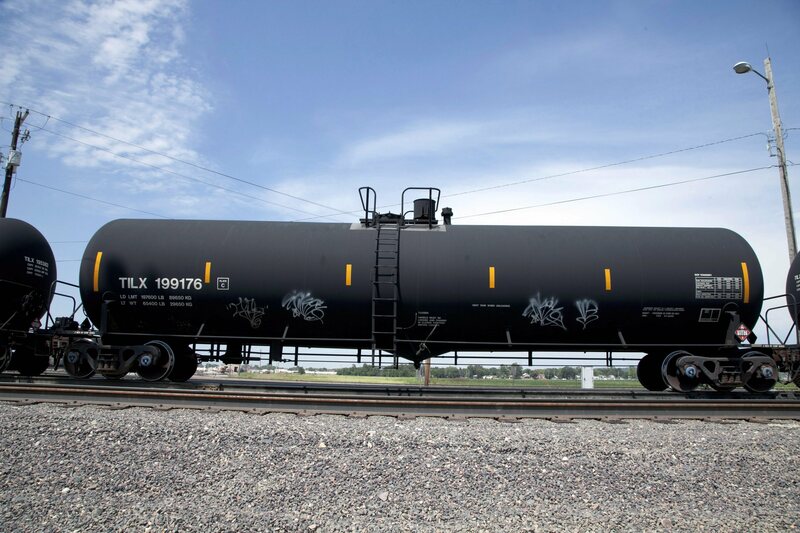 DOT-111 cars to be phased out of use for oil shipping sooner than planned. 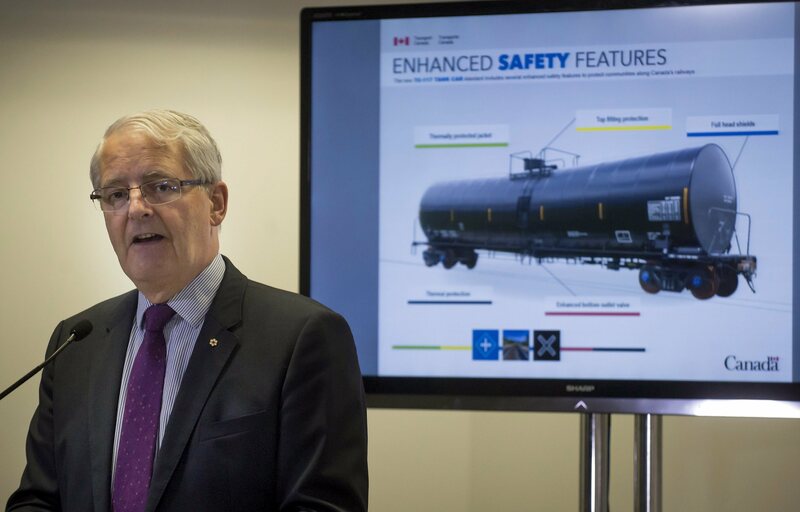 MONTREAL -- Canada will put a stop to the transport of crude oil by older and less crash-resistant tanker rail cars earlier than scheduled, Transport Minister Marc Garneau announced Monday, however, the timeline for ending similar transportation of all other flammable liquids remains the same. 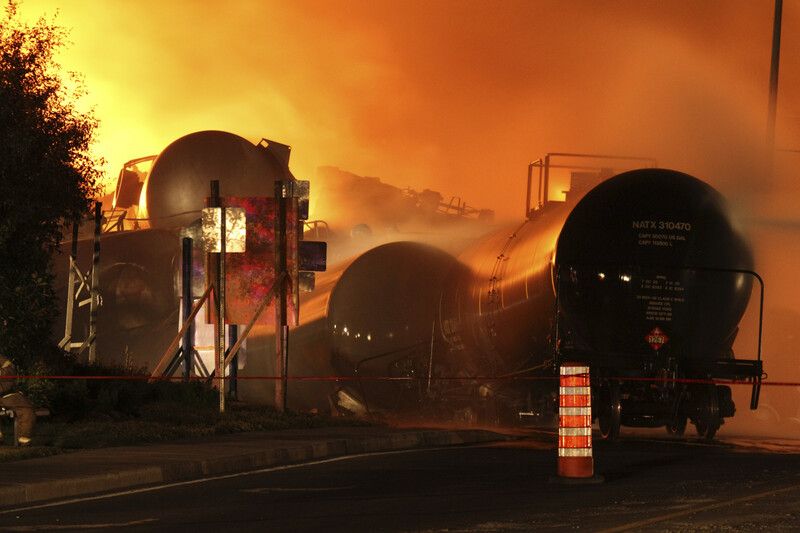 As of Nov. 1, crude oil in Canada will no longer be transported in DOT-111 tankers -- the same kind of rail car that was involved in the Lac-Megantic tragedy in which 47 people died three years ago. Garneau said while he was able to accelerate the phase-out of DOT-111s for crude, the government needs to be "realistic'' about other materials. "The reality is that in this country we transport a huge amount by rail -- hundreds of billions of dollars worth a year -- and you can't do everything in one shot,'' he told a news conference. Vicki Balance with the Canadian Association of Petroleum Producers said the oil industry knew the Liberals were considering making changes but didn't know what they were going to be. "(The announcement) brings some certainty and predictability for us, which is positive,'' she said. He said no DOT-111 train originating from the U.S. and carrying crude oil will be able to cross into Canada after Nov. 1, and violators will face financial penalties, but he didn't say how much they would be.